FORGE exists to help entrepreneurs start or grow small businesses by providing high quality business management, planning and support services in addition to its loan programs. We are committed to empowering you to expand your economic opportunity through business ownership, because we believe that successful locally-owned businesses create opportunities for families and communities. CDFIs are private financial institutions that are 100% dedicated to responsible, affordable lending to help low-income, low-wealth, and other disadvantaged people and communities join the economic mainstream. By financing community businesses—including small businesses, microenterprises, nonprofits, commercial real estate, and affordable housing—CDFIs spark job growth and economic development in hard-to serve markets across the nation. CDFIs are profitable but not profit-maximizing. They put community first, not the shareholder. For more than 30 years, CDFIS have had a proven track record of making an impact in those areas of America that need it most, providing financing and development services to businesses, organizations, and individuals in low-income communities. What types of businesses does FORGE fund? The preference of FORGE is toward services in small and/or underserved communities, sustainable agriculture and forestry, and local small businesses that create jobs. Current borrowers include a graphic artist, backhoe operator, goat farmer, florist, midwife, bakery owner, adventure camping operator, and several small manufacturers, to name a few. The first step of the process is to complete the FORGE Loan Application. No up-front fee is required, though you must pay a one-time $35 membership fee if your loan is approved. Send the completed application to the FORGE office via mail, email, or fax and you will be contacted by a FORGE staff member. FORGE will review your credit history and, if eligible, you will be asked to schedule a face-to-face visit with the FORGE loan officer, usually at your place of business. The size of your loan request determines the level of underwriting that will take place. The only fee you will ever be charged (above closing costs) is a one-time $35 membership fee. With good credit, FORGE can offer lower fixed interest rates than traditional banks. FORGE considers loans that other banks may consider too small or nontraditional FORGE provides tools to help borrowers be successful, including technical assistance and mentoring. We have many loan funds that are targeted to specific geographic areas, types of businesses, and other demographic characteristics, as well as a general loan fund. Send your business plan to us today to find out if FORGE can help you achieve your dreams. The complete FORGE loan application is available HERE. The General Credit Fund is the primary fund from which FORGE makes mission-aligned loans that do not fit into any of the other lending programs. Loans made from the General Credit Fund have the most flexibility on terms. The minimum loan amount available through this fund is $500; the maximum loan amount available through this fund is $200,000. Through the Small Business Administration (SBA) Microloan Program, FORGE provides small business loans, business counseling, and technical assistance to start-ups, newly established and growing small business concerns. The maximum loan amount under this program is $50,000; the maximum term for an SBA microloan is six (6) years. The SBA does not review, underwrite, or have the authority to approve or deny a microloan. The USDA rural development loan programs aim to alleviate poverty and increase economic activity and employment in rural communities. These funds are used to assist with financing business and economic development activity to create or retain jobs in disadvantaged and remote communities. Maximum loan amounts are $250,000, or 75% of the total cost of project for which loan is made. 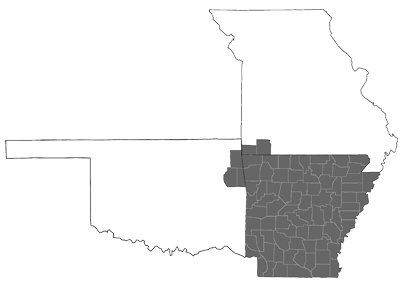 Borrowers may be individuals, public or private organizations, or other legal entities, given that majority ownership is held by U.S. citizens or permanent residents; the applicant owes no delinquent debt to the federal government; the applicant is unable to obtain affordable commercial financing elsewhere; are located in an eligible rural area (see below); and the applicant has no legal or financial interest or influence in FORGE. Loan funds may be used for the following purposes: the acquisition, construction, conversion, enlargement, or repair of a business or business facility, particularly when jobs will be created or retained; the purchase or development of land (easements, rights of way, buildings, facilities, leases, materials); the purchase of equipment, leasehold improvements, machinery, or supplies; start-up costs and working capital; pollution control and abatement; transportation services; feasibility studies and fees; hotels, motels, convention centers; educational institutions; and aquaculture-based rural small business. The FORGE Social Impact Fund builds on a tradition of innovative social finance that make loans to mission-aligned enterprises to create meaningful economic impact for communities that need it the most. Loans made from the Social Impact Fund are limited to microloans at $10,000 or less in central Arkansas. Borrowers are evaluated on creditworthiness, values-driven practices, benefit to place, and social, economic, and environmental regeneration.